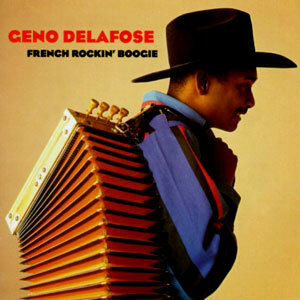 This is the DEBUT CD by Zydeco accordionist Geno Delafose. The name, French Rockin’ Boogie, is also the name of his backup group, a fine array of musicians including several family members. For as is often true in Louisiana, playing music is a family affair. 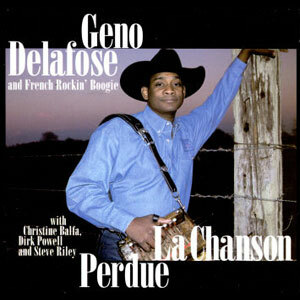 Such is the case for Geno Delafose, who got his start at the age of eight in his father’s band. When the great John Delafose retired, his son took over the band. By then, the younger Delafose was adept at making music on both the button and piano accordions. The sound of this musical artist is unique. 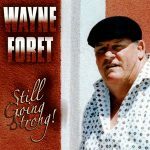 In some ways, it is quite traditional Creole music, but it is pepped up with influences from the R&B and country-rock traditions. It is, above all, dance music. 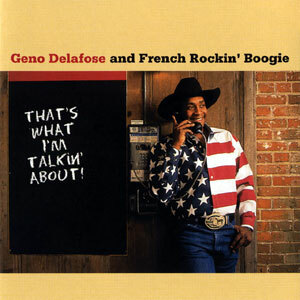 And Geno Delafose, with his country cowboy persona, has them smiling and dancing wherever he goes. 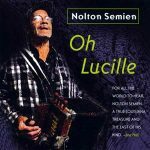 This recording gives the listener a good sampling of the range of this master accordionist’s capabilities. The title cut takes off fast to let you know the man can rock. But, as with the horses that Delafose raises, there are many changes of pace. There’s nothing like a good two-step to get the blood pumping, and there are plenty of those dance favorites on the record. Released in 1994, 13 tracks.